Just like many of us, Angie Lu and her family love to travel. But being the meticulous type, she found the need for a more comfortable and hassle-free trip whenever they would go out of town. That was when she decided to personally design a luxury bus for the purpose. Later on, Lu thought about maximizing the use of the private bus. That was the time she saw the potential business opportunity for her practical creation. The Luxe Bus was born and the rest was history. The first luxury bus became the prototype of luxury buses for lease in the country. It is ideal for up to 21 guests. Lu named it ‘Acogedor’ (Spanish word for ‘cozy’). The Luxe Bus eventually expanded its fleet through the addition of two more luxury coaches. The second bus is called ‘Estilo’ (Spanish word for ‘style’), which can accommodate up to 18 guests per trip. ‘Indulgencia,’ (‘indulgence’ in English) the third bus, has comfortable seats for up to 24 guests. To ensure the best traveling experience, The Luxe Bus has paid stringent attention to each detail. There are leather reclining seats, entertainment screen for every passenger, power sources for charging of gadgets, and Internet connection via Wi-Fi. Guests can enjoy refreshments and gourmet coffee. The business even has catering partners that may prepare pre-ordered sumptuous meals. As for the overall safety, Lu assured that all their luxury buses are always in best condition before they are deployed. It is an advantage for The Luxe Bus that it is an affiliate of MAN Automotive Concessionaires Corporation, which exclusively assembles and distributes MAN trucks and buses in the country. Lu is very confident about the overall quality and safety of all The Luxe Bus trips. As the owner and manager of the luxury coach fleet, she wants to make sure that she personally oversees the maintenance processes that all the three buses are subjected to. 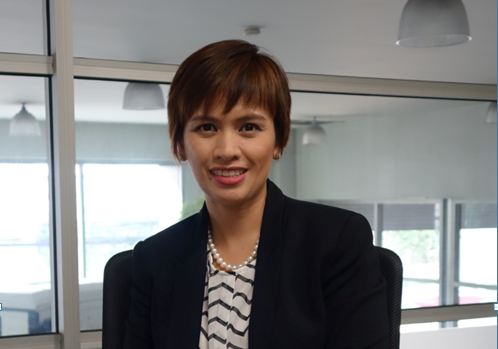 She admitted that although some problems may inevitably arise during trips, the company makes sure that there would always be effective measures to address those issues while sparing the passengers from any hassle. Passengers would also appreciate the fact that the fleet meets Euro 3 emissions standards. Logically, all the three luxury buses emit less carbon dioxide and particulates, making them friendlier to the environment compared to many other vehicles. The company boasts of facilitating road trips that may be comparable to business class flights. “We want to set an exceptional standard and make a difference in the transport business,” Lu emphasized. “The Luxe Bus treats all our staff well. In fact, we take care of our personnel so we can retain them and so we can make sure they are rendering first class services,” Lu disclosed. Aside from training that is facilitated every once in a while, the business makes sure their attendants and chauffeurs also enjoy going on the road trip. Each bus has a designated chauffeur’s quarter to ensure safer and non-stop trips. Furthermore, two drivers and additional personnel are assigned on overnight trips to make sure no staff would be overworked. The luxury buses are ideal for family, group, and corporate trips. It is most recommended for in-road business/leisure travels anywhere in the country. For inquiries and booking, contact Ms. Monica Lu: +63917 625 5346/ +632 216 3941/info@theluxebus.com.